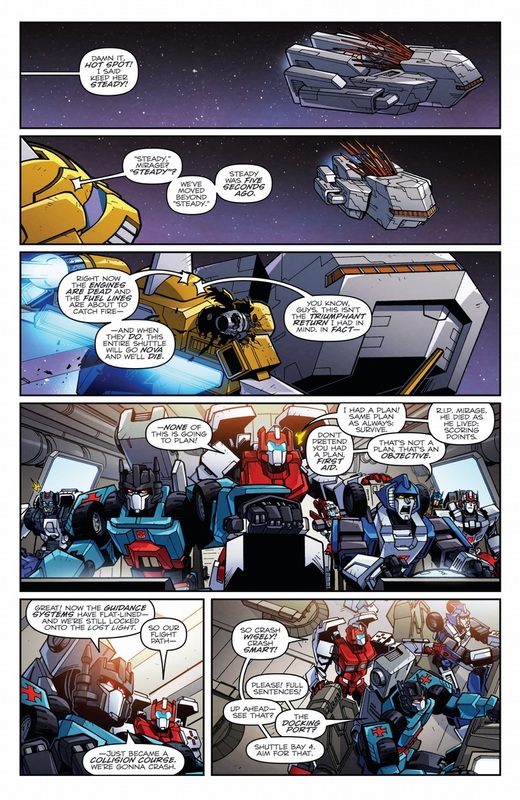 scans_daily | Transformers: Lost Light #10 - "The Plotters' Club (Part 1): Full Circle"
Transformers: Lost Light #10 - "The Plotters' Club (Part 1): Full Circle"
Wait, did the comic suddenly repeat itself? 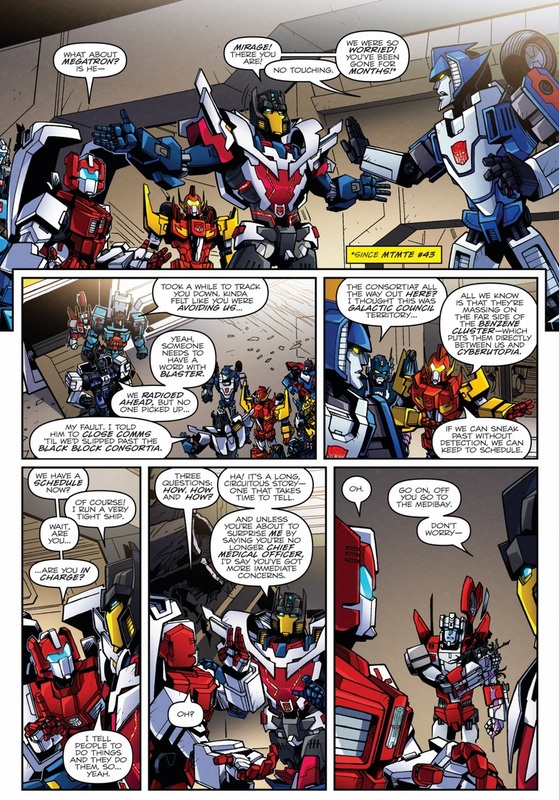 No, Getaway edited your memory so you can't tell the end of the comic from the beginning. You're stuck in a loop. I love a good time loop. 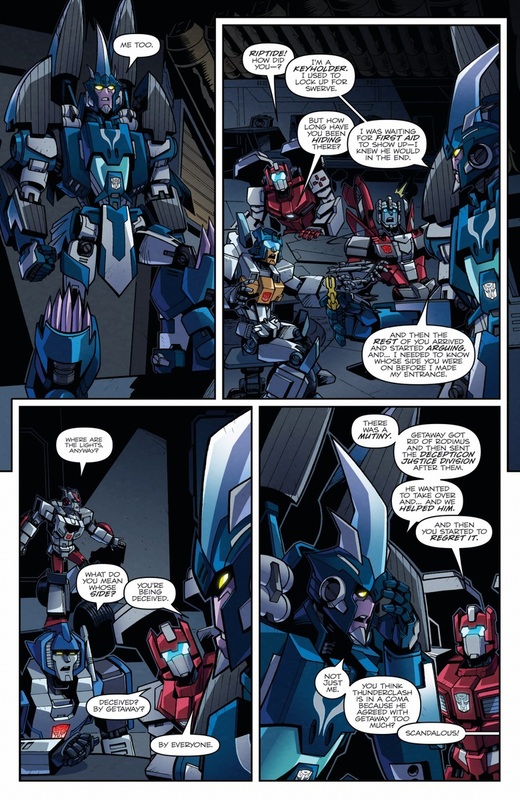 I started to suspect when Getaway described what he'd done to Thunderclash, and when it came back around, well... good stuff. 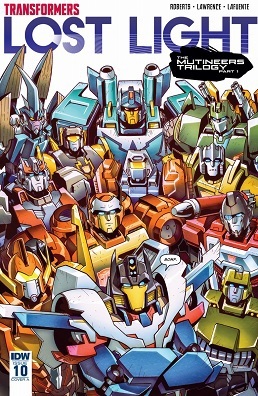 I am so glad this arc is over. I hate Getaway so very, very much. 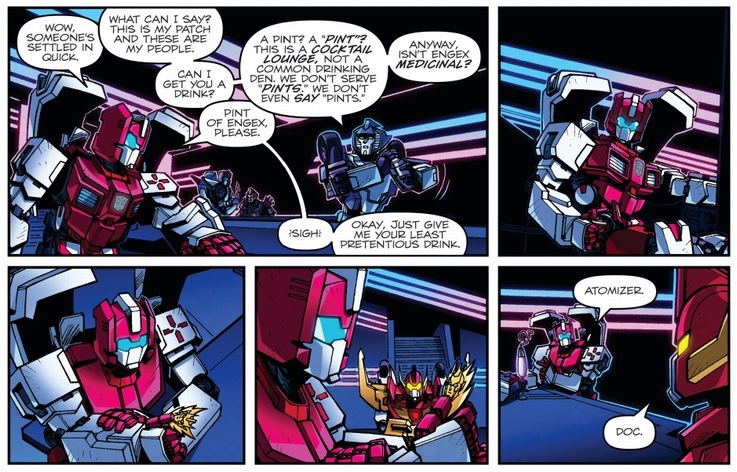 On the other hand, it surprisingly made me like Atomizer, by the end. 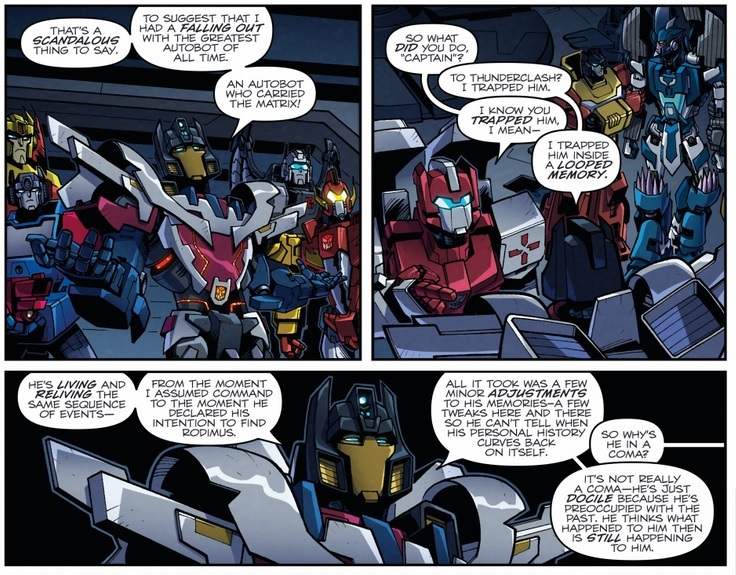 Yeah, I'm noticing that James Roberts has a special propensity for making very unlikeable antagonists. 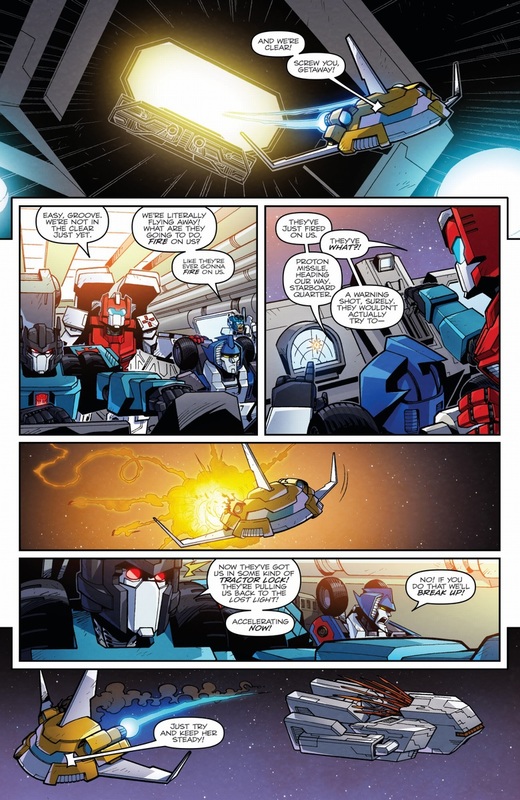 I hate Getaway so very, very much. It's very ironic, isn't it? 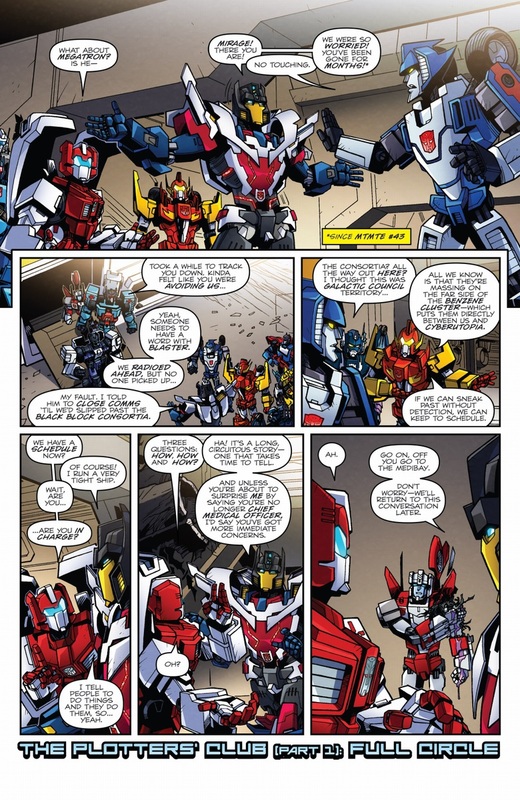 The whole mutiny stemmed from Getaway's enmity for the "unrepentant mass-murderer" Megatron. 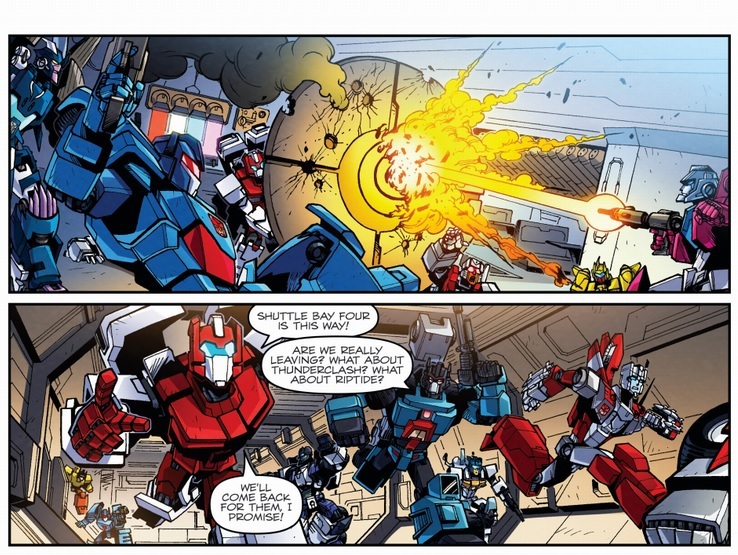 And yet, after what Getaway does in this trilogy, I can't help but feel we have a Megatron in the making here. 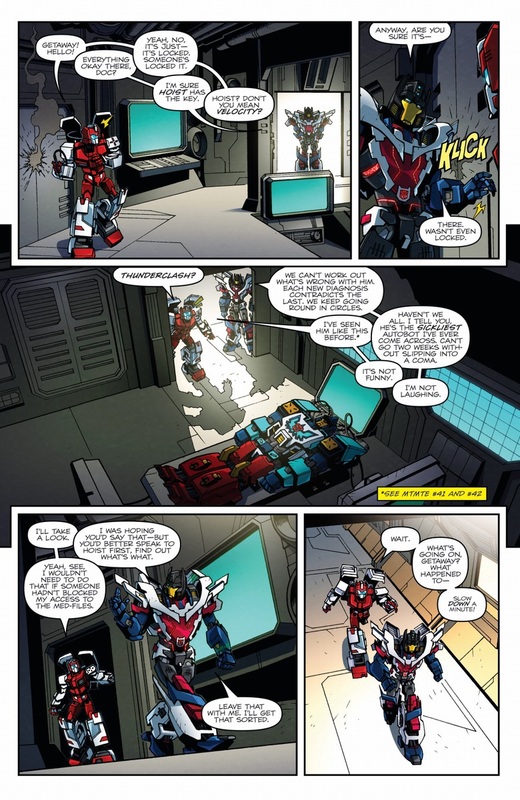 His actions and his statements...the boy's already a megalomaniac at a level Megatron didn't get to until after the war was underway.